Extreame Savings Item! Free Shipping Included! 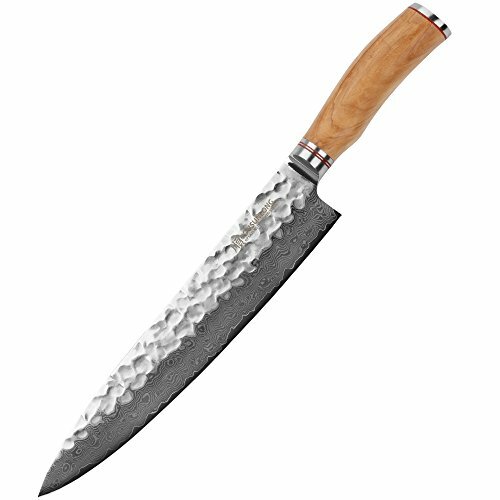 Save 50% on the Sunlong 10 Inch Professional Chef knife,High Carbon Japanese VG-10 67 Layers Damascus Steel,Razor Sharp,Olive Wood Handle SL-DK1078Y by Sunlong at Sara Stage. MPN: SL-DK1078YUS. Hurry! Limited time offer. Offer valid only while supplies last. Material: blade: Damascus steel; Handle: 430 S/S ,olive wood. It is suitable for cutting meat , vegetable and fruits and so on. Handle the 430 double elbow is one piece of die-casting molding, the outer is cover by environment olive wood . If you use it , you can feel so comfortable and non-lip durable. If you have any questions about this product by Sunlong, contact us by completing and submitting the form below. If you are looking for a specif part number, please include it with your message.